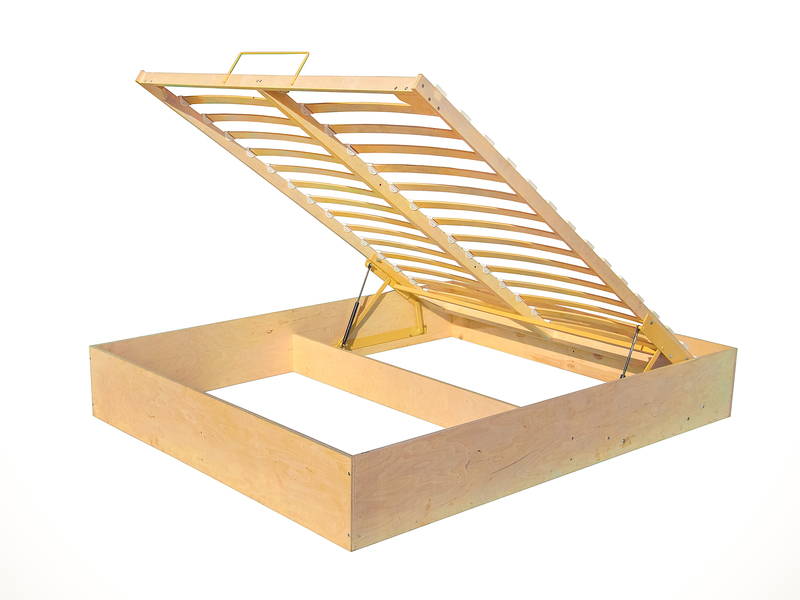 A ready solution for bed production with a lift mechanism. A flexible double bed base - insert. The set consists of 2 air lifts, 2 matrass holders, a lift mechanism and a synchronizer of lift mechanism, 4 support lifts, 4 SK-2 connection rods, 4 SK-1 connection rods, fasteners, a threaded fitting and an M-6x12 screw.